I live a busy life with Miyu. Everyday we go out and play with our friends. 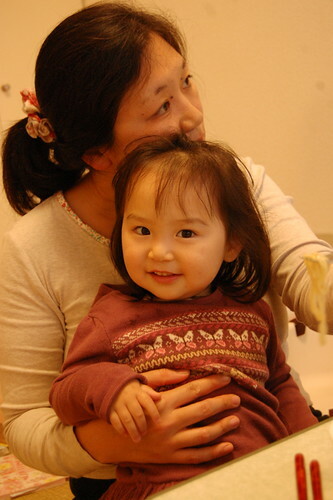 Miyu is 1 year and 8 months now, but still cannot walk by herself (' v '). After she falls asleep, I sometimes sew by her side. These are toys for her. This is a puzzle. I made it with a kit. 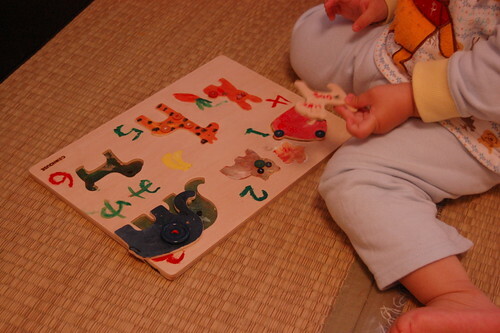 I enjoyed painting it with Miyu and her friends. 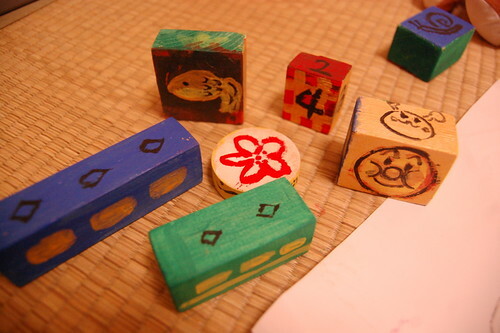 We also painted on blocks. Miyu helped me to rasp them. Miyu likes trains and plays with these trains everyday. These are button training toys. I put her favorite characters on them. This is an octopus. 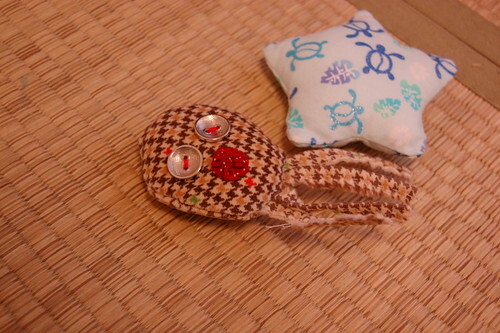 Two of her friends like them and I made two other ocutopuses for them. 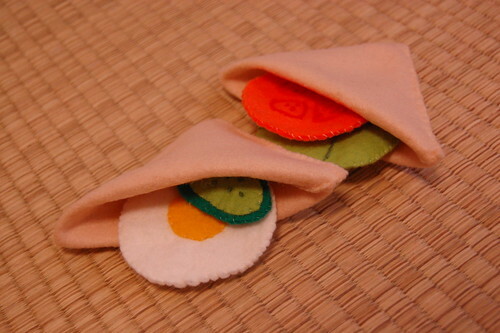 Last night I made felt sandwitches. I need only one hour for them all. The breads are very easy. I cut a piece of square and cut it in half for two pieces of bread. Then fold it in half and sew the outlines. Then put a corner inside and make the triangle shape. So you can put your favorite items in it. Last weekend I got a Japanese sewing pattern book with cute patterns of girl's outfits. 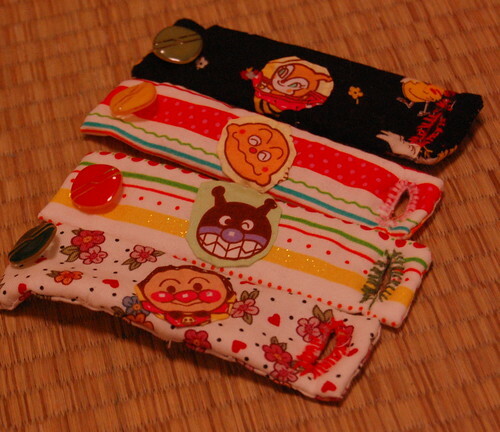 I'm making a vest of the cover. Isn't it so cute? And she loves Haru very much. He plays with her everyday even if he is very tired.